With Windows 10 Home – get the best combination of Windows features you know and new improvements you’ll love. 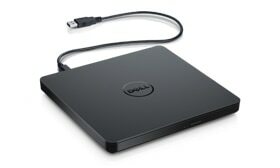 Buy select configurations now or upgrade for free on any Dell PC. 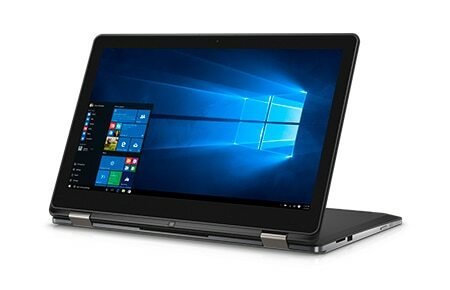 Peak performance: With up to 6th Gen Intel® Core™ processors, the Inspiron 15 2-in-1 packs premium performance and stunning visuals. Spacious True Color display: Experience stunning clarity and graphics performance with a 38.1cm (15) capacitive touch Full HD 1080p display that offers 40 percent more space than a typical 33cm (13) screen. 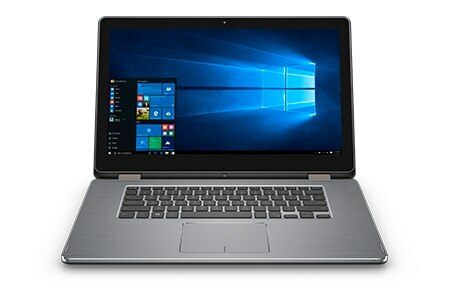 Generous storage: With up to 1TB1 of storage or an optional 256GB1 solid-state drive, there's plenty of room for your favorite music, movies, photos and applications. 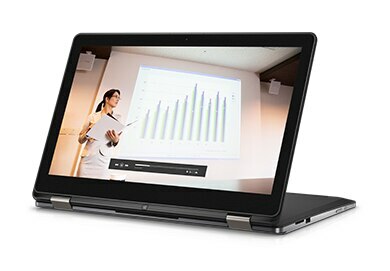 Easy viewing: This spacious screen features a wide 170-degree viewing angle for easier sharing. Vibrant colors: With True Color, you control color saturation. From rich and bright to more muted hues, you can tailor your display’s temperature and tone to suit your personal preference. 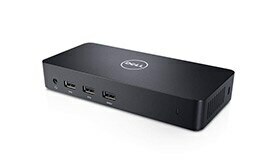 Plenty of ports: Easily connect to other devices through two high-speed USB 3.0 ports, one of which features PowerShare, which allows you to use the battery in your laptop to charge other USB devices, like your cell phone. An SD media card reader simplifies file transfers between cameras and other devices. The full-size HDMI port enables easy connection to your TV or high-resolution display without the need for easy-to-lose adapters required by PCs that offer only mini-HDMI or DisplayPort connections. Precision touch pad: Navigation is easy and consistent with a touch pad that allows you to pan, pinch or zoom with pinpoint accuracy. Laptop mode: With a full-sized keyboard, you can Video conference, reply to emails faster, update spreadsheets or knock out school projects. Laptop when you need it. Tablet when you want it. 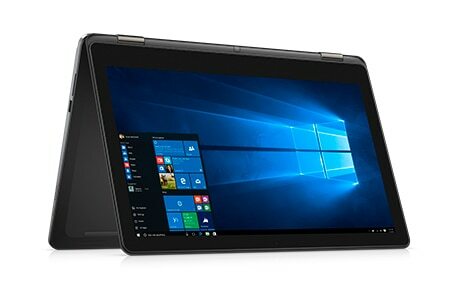 The best of both worlds just got bigger with the 2-in-1 that combines great performance with a spacious screen, no matter which mode you're in. Tablet mode: A remarkable 360-degree hinge design lets you flip the keyboard around and lay it flat on your lap to swipe through photos or edit presentations. Tablet stand mode: Transition the tablet to an upright position so you can video conference, scroll through songs or watch movies. Tent mode: Watch the news, the game or catch up on your shows with your Inspiron in a hands-free easel position that supports full touch interaction. Designed for the real world — because that's where life happens. We want you to love your new PC for years to come. That's why we test Inspiron laptops for reliability not just in the places where you expect it, but for the open road ahead. Turn up the heat: From locker rooms to locked cars, we test Inspiron laptops for survival in harsh short-term heat conditions of up to 65°C/149°F. 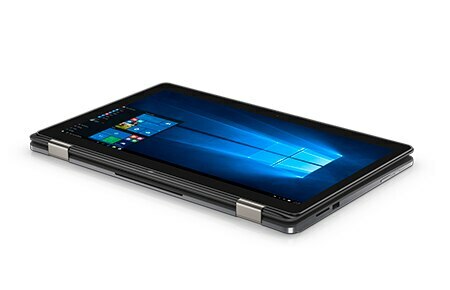 Everything hinges on it: We test Inspiron laptop hinges to ensure they still feel tight, even after opening and closing the lid 20,000 times. Buttoned up: No matter what you set your power and multimedia buttons to do, we've tested them all to survive up to 40,000 pushes. Twist and turn: Call us excessive, but after twisting an Inspiron laptop's base and lid more than 25,000 times, we can assure you the parts inside are well protected. Always a good fit: You'll probably never need to remove and reinstall your Inspiron's battery 30 times, but you can rest easy knowing that we've tested even that. Retrieve that document you forgot to take to the meeting. Access your photos. Collaborate on a project. With Dropbox, you can easily access all of your content anywhere. 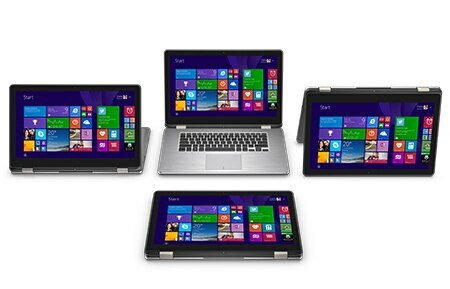 Maximize the performance of your Inspiron with Dell recommended essential accessories. 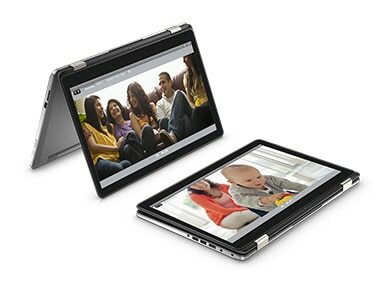 Power and charge your Inspiron along with your phone and tablet while on the go with the Dell Power Companion. 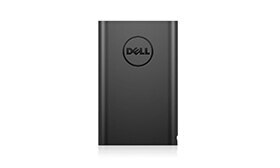 Plug this low profile, lightweight drive into your Inspiron’s USB port and you'll be ready to play or burn your favorite DVDs or CDs at home or on the go. 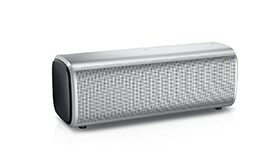 Take your sound on the go with a compact and portable wireless speaker that features a long-lasting rechargeable battery, Bluetooth 4.0 and NFC technologies. Create the ultimate desktop environment with a docking solution that supports three displays— one Ultra HD 4K and two traditional— and up to five other peripheral devices. 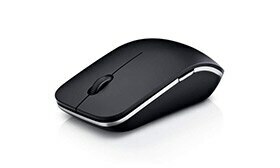 Travel light with a stylish, high-precision wireless Bluetooth 3.0 mouse featuring excellent battery life. We're here and ready to help. With 24x7 Phone Support, you'll get "how to" support for operating system and common software applications, plus assistance related to anti-virus setup, data transfer, data backup and wireless network device setup.